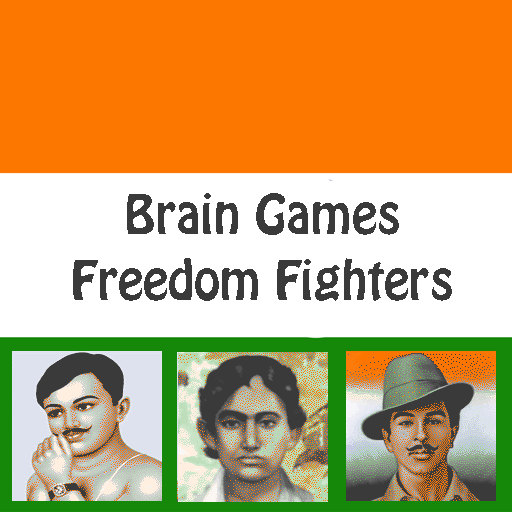 It has up to 10 locked level and include the below Indian Freedom Fighters. Mohandas Karamchand Gandhi ( 2 October 1869 – 30 January 1948) was the preeminent leader of Indian nationalism in British-ruled India. Employing nonviolent civil disobedience, Gandhi led India to independence and inspired movements for civil rights and freedom across the world. 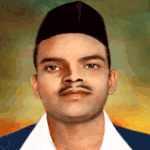 Sukhdev was a famous Indian revolutionary who played a major role in the India’s struggle for Independence. Sukhdev Thapar was a member of the Hindustan Socialist Republican Association (HSRA), and organised revolutionary cells in Punjab and other areas of North India. 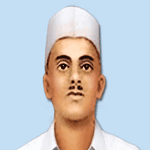 Shivaram Hari Rajguru (August 24, 1908 – March 23, 1931) was an Indian revolutionary from Maharashtra, known mainly for his involvement in the murder of a British police officer. 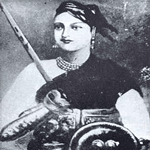 Lakshmibai, the Rani of Jhansi (19 November 1828 – 17 June 1858) was the queen of the Maratha-ruled princely state of Jhansi, situated in the north-central part of India. She was one of the leading figures of the Indian Rebellion of 1857 and for Indian nationalists a symbol of resistance to the rule of the British East India Company in the subcontinent. Ramachandra Pandurang Tope (1814 – 18 April 1859), popularly known as Tatya Tope (तात्या टोपे) was an Indian Maratha leader in the Indian Rebellion of 1857 and one of its more renowned generals. He was a personal adherent of Nana Saheb of Bithur. He progressed with the Gwalior contingent after the British reoccupation of Kanpur and forced General Windham to retreat from Kanpur. 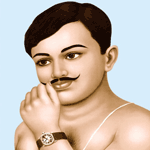 Chandra Shekhar Azad(23 July 1906 – 27 February 1931), popularly known as Azad was an Indian revolutionary who reorganised the Hindustan Republican Association under the new name of Hindustan Socialist Republican Association (HSRA) after the death of its founder, Ram Prasad Bismil, and three other prominent party leaders, Roshan Singh, Rajendra Nath Lahiri and Ashfaqulla Khan. He is considered to be the mentor of Bhagat Singh and chief strategist of the HSRA. SinghBhagat Singh 28 September 1907 – 23 March 1931) was an Indian socialist considered to be one of the most influential revolutionaries of the Indian independence movement. 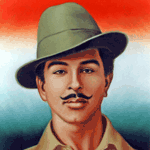 He is often referred to as “Shaheed Bhagat Singh”. 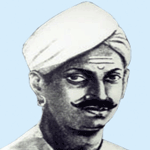 MangalPandey (19 July 1827 – 8 April 1857), was an Indian soldier who played a key part in events immediately preceding the outbreak of the Indian rebellion of 1857.Mangal Pandey was a sepoy (private) in the 34th Bengal Native Infantry (BNI) regiment of the British East India Company. Pandey is widely regarded as a freedom fighter in modern India. Udham Singh ( 26 December 1899 – 31 July 1940) was an Indian revolutionary, best known for assassinating Michael O’Dwyer in March 1940 in what has been described as an avenging of the Jallianwalla Bagh Massacre.Singh is a prominent figure of the Indian independence struggle. 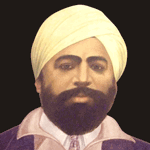 He is sometimes referred to as Shaheed-i-Azam Sardar Udham Singh. 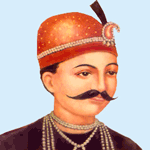 Nana Sahib (19 May 1824 – 1857), born as Dhondu Pant was an Indian, Maratha aristocrat, who led the Kanpur rebellion during the Indian Rebellion of 1857. 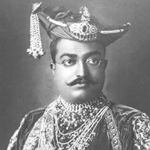 As the adopted son of the exiled Maratha Peshwa Baji Rao II, he was entitled to a pension from the English East India Company. The Company’s refusal to continue the pension after his father’s death, as well as its generally arrogant policies, compelled him to revolt and seek freedom from company rule in India. 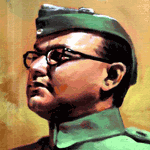 Subhas Chandra Bose (23 January 1897 – 18 August 1945 ) was an Indian nationalist whose defiant patriotism made him a hero in India, The honorific Netaji , first applied to Bose in Germany, by the Indian soldiers of the Indische Legion and by the German and Indian officials in the Special Bureau for India in Berlin, in early 1942, is now used widely throughout India. Bose’s most famous quote was “Give me blood, and I shall give you freedom”! 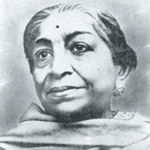 Sarojini Naidu( 13 February 1879 – 2 March 1949 ) also known by the sobriquet as The Nightingale of India was a child prodigy, Indian independence activist and poet. Naidu served as the first governor of the United Provinces of Agra and Oudh from 1947 to 1949] the first woman to become the governor of an Indian state. She was the second woman to become the president of the Indian National Congress in 1925 and the first Indian woman to do so. 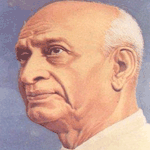 Vallabhai Jhaverbhai Patel (31 October 1875 – 15 December 1950) was an Indian barrister and statesman, one of the leaders of the Indian National Congress and one of the founding fathers of the Republic of India. He was a social leader who played a leading role in the country’s struggle for independence and guided its integration into a united, independent nation. In India and elsewhere, he was often addressed as Sardar. 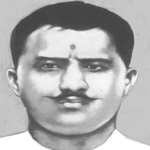 Ram Prasad Bismil (11 June 1897 – 19 December 1927) was an Indian revolutionary whoparticipated in Mainpuri conspiracy of 1918, and the Kakori conspiracy of 1925, both against British Empire. As well as being a freedom fighter, he was also a patriotic poet and wrote in Hindi and Urdu using the pen names Ram, Agyat and Bismil. 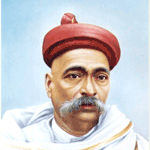 Bal Gangadhar Tilak ( 23 July 1856 – 1 August 1920), born as Keshav Gangadhar Tilak, was an Indian nationalist, journalist, teacher, social reformer, lawyer and an independence activist. 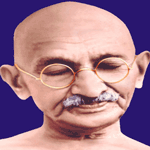 He was the first leader of the Indian Independence Movement. The British colonial authorities called him “Father of the Indian unrest.” He was also conferred with the honorary title of “Lokmanya”. 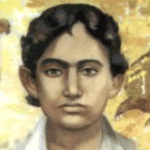 Khudiram Bose (3 December 1889 – 11 August 1908) was a Bengali revolutionary, one of the youngest revolutionaries early in the Indian independence movement. At the time of his hanging, he was 18 years, 7 months 11 days old. 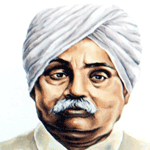 Lala Lajpat Rai (28 January 1865 – 17 November 1928) was an Indian Punjabi author and politician who is chiefly remembered as a leader in the Indian fight for independence from the British Raj. He was popularly known as Punjab Kesari meaning The Lion of Punjab also known as “Sher-E- Punjab” in Punjabi. He was part of the Lal Bal Pal . He was also associated with activities of Punjab National Bank and Lakshmi Insurance Company in their early stages. Bipin Chandra Pal ( November 7, 1858–May 20, 1932) was an Indian nationalist. He was among the triumvirate of Lal Bal Pal. 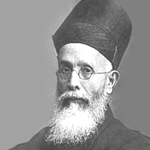 Dadabhai Naoroji ((4 September 1825 – 30 June 1917), known as the Grand Old Man of India, was a Parsi intellectual, educator, cotton trader, and an early Indian political and social leader. He was a Member of Parliament (MP) in the United Kingdom House of Commons between 1892 and 1895, and the first Asian to be a British .Naoroji is also credited with the founding of the Indian National Congress. Tipu Sultan (20 November 1750 – 4 May 1799), also known as the Tiger of Mysore and Tippoo Sahib] was a ruler of the Kingdom of Mysore and a scholar, soldier and poet. 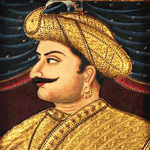 Tipu introduced a number of administrative innovations during his rule, including the introduction of a new coinage, a new Mauludi lunisolar calendarand a new land revenue system, initiating the growth of Mysore silk industry. Tipu expanded the iron-cased Mysorean rockets which he deployed in his resistance against military advances of the British. 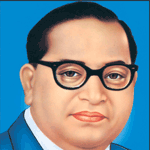 Bhimrao Ramji Ambedkar14 April 1891 – 6 December 1956), popularly known as Babasaheb, was an Indian jurist, politician and social reformer who inspired the Modern Buddhist Movement and campaigned against social discrimination in India, striving for equal social rights for Dalits, women and labour. 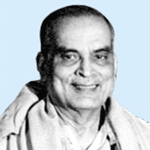 He was independent India’s first law minister and the principal architect of the Constitution of India.